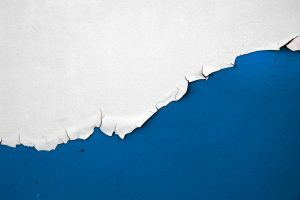 Thousands of Orange County buildings still need lead paint removal, and Tri Span Inc. is a Southern California based general contracting firm specializing in hazardous material abatement, including lead paint removal in Orange County. Lead-based paints were commonly used up until 1978 when they were banned for their damaging health consequences. But lead-based paints are still found on both interiors and exteriors of buildings, and lead paint is often covered up by multiple coats of non-lead paint which people have applied over the old coats. Lead paint is especially toxic for children under the age of 6 years and pregnant women, and any surface with lead paint should be monitored for chipping, dust, and deterioration and repaired as soon as possible to avoid contamination and exposure to people and pets. Because of its hazards, removing lead paint from a building is a job best suited to a trained professional with the expertise, trained staff, and special equipment needed to get the job done safely and quickly. Testing for the presence of lead-based paint. Assessment of the best strategy of mitigating the hazard. Encapsulation of old paint with a special coating, sealing in lead paint so it cannot produce dust or chips. Complete removal and disposal of lead paint from surfaces. Disposal of all hazardous materials waste in approved facilities. Compliance with all local, state, and federal regulations pertaining to lead paint removal. The presence of lead paint often becomes a problem when someone does repairs or remodels. While the lead painted surface may be in good condition and not posing any hazards, if the wall or ceiling must be removed or opened up to allow for other work, this can release lead dust into the environment, creating a potential health hazard and a need for the services of a lead paint removal specialist. Cleaning up flaking paint immediately. Wash hands often, especially for children. Keep children away from areas where the paint is peeling or flaking. Take off shoes before entering the house to prevent bringing in lead dust from outside. And contact Tri Span Inc. for a consultation and estimate for lead paint removal.